British recognition of a "Palestinian state" has encouraged an upswing in terror, Intelligence Minister Yuval Steinitz (Likud) stated Friday - by giving political legitimacy to the Palestinian Authority (PA) and Hamas "unity government" regardless of its culpability for attacks against innocent Israelis. “Many people in the region condemned it [Hamas], saying ‘this is backfiring, this might reduce support in the world for a Palestinian state, this is not good, this is wrong’,” Steinitz added. “And then there is such a vote in the British Parliament. It’s like saying ‘look, we cannot care less about rocket attacks on Israel. It doesn’t change our mind, on the contrary.'" The UK recognized the Hamas-Palestinian Authority (PA) "unity government" as "Palestine" several weeks ago, in a landslide vote of 274 to 12. The resolution, while non-binding, still sets a political and diplomatic precedent, experts say. The Intelligence Minister took the criticism one step further, insisting that the move torpedoed the peace process. “This resolution is like giving up peace," he said. "Let’s give the Palestinians what they want, regardless of Israel, regardless of Israel’s security needs, regardless of peace and security for Israel." 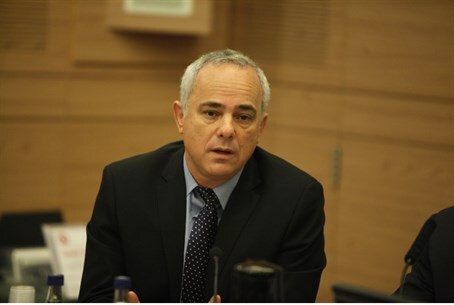 Steinitz also blasted Western officials for easing up on the seriousness of its threats against Iran for going forward with its nuclear project. Since a deal was reached to allow Iran limited nuclear capabilities altogether, US and British negotiators have agreed to allow the Islamic Republic to keep 9,500 centrifuges. Steinitz stressed, as he has on multiple occasions, that this was a mistake. According to Steinitz, the team has missed the opportunity to demand a "zero enrichment" policy, using the fate of the Iranian economy as leverage. “I think it could be achieved because the Iranians really need to save their economy: this goes without saying. They badly need an agreement,” he said. "No deal" would be better than a "bad deal" in this regard, he added. However, he was not without hope.